If this is your first time listening to the show, welcome. You’re in for a treat! This is our 50th Session, and we’re calling it a SuperShow for good reason. This is master class where you can pick the brains of some of the best minds in crowdfunding. I’ve been to conventions where there were Kickstarter panels before, but there’s never been a 50 creator Kickstarter panel! We’ve assembled a diverse range of creators who have collectively raised many, millions of dollars in crowdfunding and asked them all to share their #1 crowdfunding Tip with you. What’s coming up in the next 50 Episodes of ComixLaunch… and beyond! How many minutes of audio? Nearly 37 hours of mindset, strategies and tactics for making KS work for you. 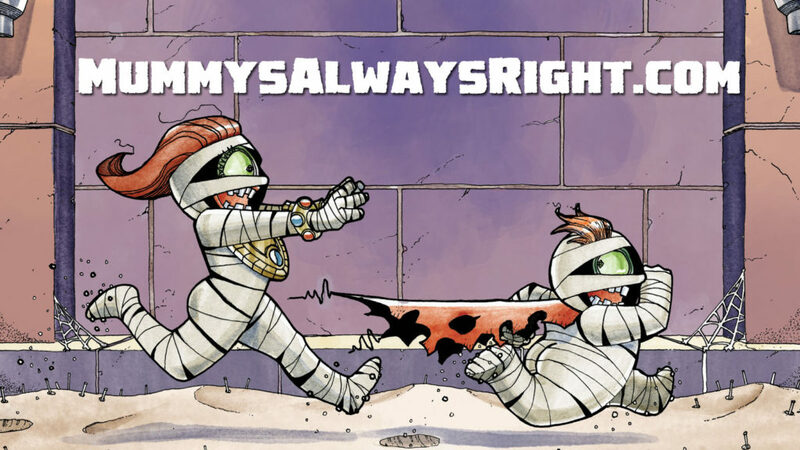 To industry veterans like Greg Pak (043)… and everyone in between. We’ve also brought on people outside of the Comics Space like Catheryn Lavery of the Self-Journal (Session 038 on Scaling up Your Crowdfunding) … because we know Comics Doesn’t have a monopoly on great crowdfunding ideas. And we haven’t just talked to creators… we’ve also talked to people who can help creators. 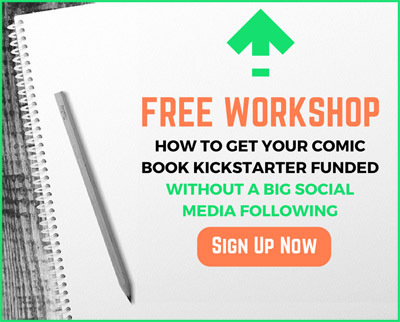 #5 – ComixLaunch Session 002 Is Kickstarter a Finite or Renewable Resource? 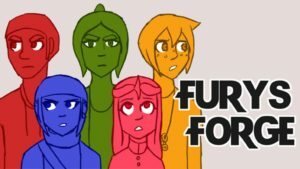 Head over to ComixLaunch.com/blog and read them all! And last but not least, courses have become a big part of ComixLaunch. Our flagship course, The ComixLaunch Course, ran its pilot version starting in January with eight creators, and ran through March. Kickstarter campaigns are running in the Private FB group is tremendously valuable. Second KS, is $24 away from hitting his on a $2,000 goal. So, our students are about to be 4 for 4! Tremendously proud of all of the students in the course, and excited for the launches still to come. We’re now taking what we’ve learned from the CL Course, revising, improving, and polishing for a relaunch in the Fall. I think that’s totally true… but in the case of ComixLaunch, I think we’ve definitely come very far in a year. 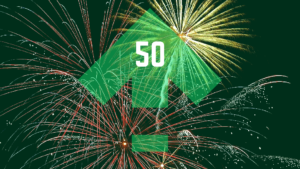 Download an E-Book that includes all 50 Tips so that you can consume at your leisure. Hey, Tyler James, from ComixTribe and ComixLaunch here… you didn’t think I wasn’t going to get in on this advice giving session, did you? I lived in New Orleans for a couple of years, where the concept of always giving a little something extra or a lagniappe, was a big part of the culture down there… and its something that stuck. 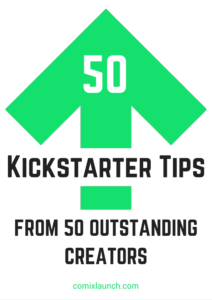 You’ve just been given tips from 50 amazing Kickstarter creators who have collectively raised millions of dollars in funding to bring incredible creative projects to life on Kickstarter. But all of them will tell you that they didn’t do it entirely themselves. Their success on Kickstarter was certainly a product of a lot of a whole lot of time, hard work, ink, sweat and tears on their part. But it was also made possible by a support network of family, friends, peers, teachers, coaches, role models, and raving fans. So don’t launch your Kickstarter alone. Strength in numbers is not a cliche, it’s a universal truth… especially when it comes to crowdfunding and building a career. We created The ComixLaunch Course so that creators could plan, launch, execute, and fulfill their Kickstarter projects alongside a supportive community of like-minded peers… and ask anyone in the course… it definitely makes it easier. But even if you never take the course, there’s nothing stopping you from reaching out to a friend or a peer who might be planning a crowdfunding campaign in the near future and agreeing to keep each other accountable as you go through the crowdfunding process. There will be ups and downs, strikes and gutterballs… you’re going to want someone there to pick you up when you fall, and to celebrate with when you triumph. There will be ups and downs, strikes and gutterballs… you’re going to want someone there to pick you up when you fall, and to celebrate with when you triumph. All great books, incredibly value packed. I’ll pick six winners, who will get one of those books mentioned. So, the winner of the gets those and they also get a 30 minute skype KS strategy session with me where we’ll talk about your project and get your questions asked. I don’t do one-on-one coaching… so this is the offer. Will announce the winner in ComixLaunch Session 55. But there are some ways you can boost your odds by sharing the show and spreading the message. Books and conversations… two things that have had a massive impact on my life and my career… hope you’ll enter! ComixLaunch.com/course if interested in any of these. A listener, Cetriya, submitted a voicemail suggesting Fulfillment as a topic, which inspired 049 on DIY Fulfillment. 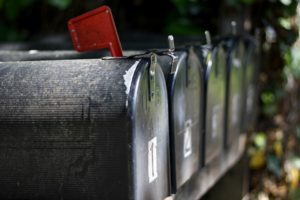 If you have a specific topic you’d like for us to cover in more depth, please leave us a VM at ComixLaunch.com/voicemail. One of the first Multi-part series, very excited to dive into, will be on Patreon. While this is a Kickstarter focused podcast… it’s also a podcast about building careers and taking them to the next level… and Patreon is a tool that can do just that. I’m excited to bring on creators who are having success on Patreon, and really dive deep into the differences between KS & Patreon… and when it makes sense to use one, or the other, or both. To truly talk about Patreon with knowledge and authority… I’m going to have to not only support other projects on Patreon, but become a Patreon creator myself. And so we will soon be opening Club ComixLaunch on Patreon. Club ComixLaunch will be an opportunity for ComixLaunch listeners to support the show, and an opportunity for us to provide extra value to all of you. …that will help you launch. Keeping The ComixLaunch Podcast going is about a $225 a month expense, and that’s before anything is spent on marketing to expand the shows reach. And at the same time do it in a sustainable way. Club ComixLaunch on Patreon will help sustain and improve this show for the next 50 episodes and beyond. I’ve been getting more and more requests for podcast sponsorships lately, which is awesome… but also becomes difficult to manage. So, we’ll be moving our ComixLaunch sponsorships to Club ComixLaunch… so that creators or businesses who want to sponsor an episode of the show can do so through Patreon… and also interact with the Club. I know some of you have received tremendous value from this show, and would love to give back in some way… but also know that you’re probably unlikely to have the time or the resources to invest in The ComixLaunch Course. Club ComixLaunch memberships will start at just $1 a month… and for many of you, that’ll be all it will take to upgrade creating and launching a successful Kickstarter from something you’ll do someday maybe… to something you’ll absolutely do this year. It’s a way to put a bit more skin in the game, and get access to even more resources that will help your projects get funded. Club ComixLaunch will help us do them. ComixLaunch.com/club to be a part of our Club ComixLaunch Patreon Launch plans and get some cool bonuses. This concludes the ComixLaunch 50 SuperShow! One is greater than zero… keep moving forward one action at a time… and before you know it, you’ll have 50 panels drawn, 50 scripts written, 50 books on the shelves, 50 talented creators sharing advice with you, or 50 podcasts under your belt. It’s pretty damn cool how that all works. We have a good session today. We have a follow-up from Michael Bangert. There was a tough lesson that cost Michael, but saved Comixlaunch listeners thousands. MARGO: Intergalatic Trash Collector – Uprising by Jim Whiting. We reached a dead zone where it was one of those days and a couple bigger pledges back out. It’s tough to keep perspective, in the midst of a KS. Wow, we only raised $1500 this week, compared to $9,000 the week before… what are we doing wrong? Today’s episode was inspired by a ComixLaunch VM Message. Let’s listen and Dive in. 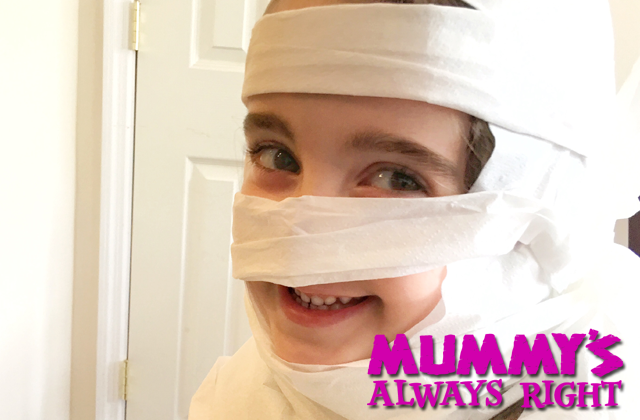 When it makes sense to DIY? You have 100 backers or less. You have access to helping hands. 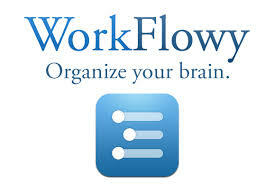 Workflowy is my checklist maker, and an extension of my Brain. You will need a place to keep track of your fulfillment notes, and Kickstarter’s tools for tracking fulfillment aren’t great. 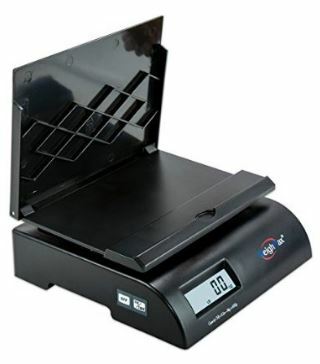 Quickly and efficiently weigh your packages to the nearest ounce. Most bathroom scales do not have that level of accuracy. The best time to purchase a digital scale is actually in the planning phase, so you can use it to better estimate the weight, and therefore the shipping costs, of your packages. This WeighMax 75LB Digital Scale is a very affordable option, and the one I currently use. Handwriting addresses to all customers on every single package doesn’t scale. When facing dozens or hundreds of packages, that’s not time well spent. One of the best investments you can make is a thermal printer. 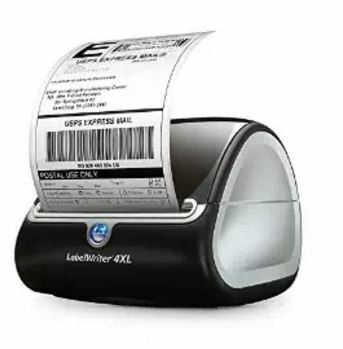 Dymo LabelWriter 4XL, a specialized thermal printer that never needs new ink, and prints out all-in-one labels, that include a backer’s address, paid postage, and delivery confirmation tracking. Even better, for international shipping, it also can include a built-in custom form. Not having to fill out and apply 180 individual custom forms by hand saved me from countless hours of tedium in my first campaign, and probably errors. And it makes for a professional looking package to boot! Works with the USPS system to allow for easy at home printing and managing of posting and shipping. 30-day free trial, which I timed to coincide with the fulfillment of my Kickstarter. Reduced prices on USPS shipping. Tracking management for shipped products…a record of everything I’ve ever shipped from home is logged in one place. Free or discounted Delivery Confirmation. 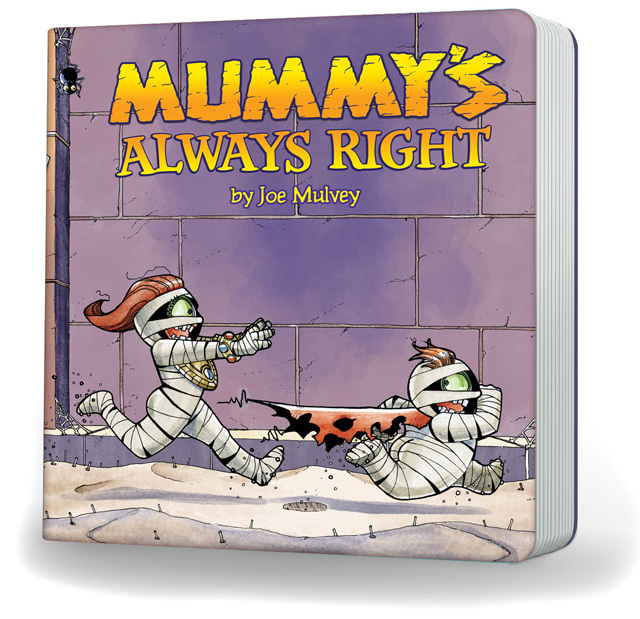 Greg Pak Recommendation. Never lose your shipping tape again. 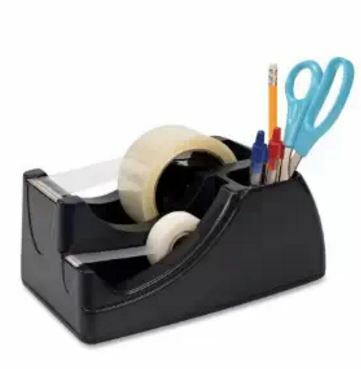 The speed of dispensing packing tape from a dispenser, and having your scotch tape in the same place will save time and hassle. Amazon.com should be your first stop. Usually you’ll find the best prices there. Uline.com will have anything you can’t find on Amazon. Buy in bulk and save. 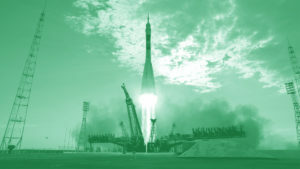 Go ComixLaunch.com/resources and make a note of what you’re going to invest in for your next launch.